A team of researchers is seeking input from pork producers as it fine tunes a new web site which focuses on transitioning from conventional stall housing to group housing of gestating sows. In response to Canada's new Pig Code of Practice, which requires all new sow gestation barns to use group housing, a multi-disciplinary multi-institutional team of scientists and engineers, working in partnership with Swine Innovation Porc, has launched a new web site to provide information for producers considering building new or converting existing sow barns to group housing. Dr. Jennifer Brown, a research scientist ethology with the Prairie Swine Centre, explains the site, located at groupsowhousing.com, contains examples of conversions that have been completed, comparisons of different feeding systems, information on managing sows in groups as well as links to other resources. We've fleshed out the basic web site with some information on how you train gilts and sows, particularly for electronic sow feeder systems because that's certainly an issue and something that you need to plan for if you're putting in ESF. Grouping strategies, how you design your pen groups, whether you manage them in static groups or dynamic groups where you have a large group and you're adding sows to that group and removing them as they go to farrowing. So there's different ways of grouping sows. We've tried to provide information on all these aspects. We've got the basic information in there now but we hope to expand on that and provide additional articles as we go forward. We are very hopeful that people will be accessing the web site and we're looking for any feedback or any questions. At this point we are hoping to add additional materials so if there's information that's missing we would like to know about that and would just appreciate any general feedback on the web site. Dr. Brown notes the site also contains contact information for individual provincial pork organizations as well as for researchers at the Prairie Swine Centre. 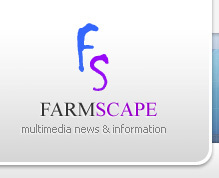 For Farmscaoe.Ca, I'm Bruce Cochrane.